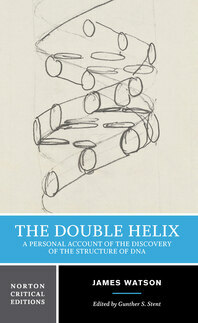 Since its publication in 1968, The Double Helix has given countless readers a rare and exciting look at one highly significant piece of scientific research—Watson and Crick's race to discover the molecular structure of DNA. In this Norton Critical Edition, Watson's lively and irreverent account is placed in historical perspective by Gunther Stent's introduction and by retrospective views from two major figures in the adventure, Francis Crick and Linus Pauling, and by Rosalind Franklin's last student, Aaron Klug. Background materials include reproductions of the original scientific papers in which the double helical structure of DNA was first presented in 1953 and 1954. In Criticism, which begins with "A Review of the Reviews" by Gunther Stent, other scientists and scholars reveal their own experiences and views of Watson's story. There are reviews by Philip Morrison, F. X. S., Richard C. Lewontin, Mary Ellmann, Robert L. Sinsheimer, John Lear, Alex Comfort, Jacob Bronowski, Conrad H. Waddington, Robert K. Merton, Peter M. Medawar, and André Lwoff; as well as three letters to the editor of Science by Max F. Perutz, M. H. F. Wilkins, and James D. Watson.